2012 marks the 20th anniversary of CFHI’ s transformative Global Health Education Programs and Community Empowerment. This milestone gives us a chance to celebrate and to look back on the impact of CFHI. We reflect on the importance of CFHI to many underserved communities beginning in Ecuador, where CFHI’s Founder Dr. Evaleen Jones started, and now also in Argentina, Bolivia, India, Mexico and South Africa. We also reflect on the importance of CFHI to more than 7,000 students who have followed in Evaleen’s footsteps. Dr. Evaleen Jones founded Child Family Health International in 1992 after traveling to Ecuador as a medical student in the late 1980s. There she met Dr. Edgar Rodas, MD, Vice- Dean of the University of Cuenca School of Medicine. His dream was to build a Mobile Surgical Unit that could travel to the edge of the Amazon Jungle to do simple elective surgeries and procedures. 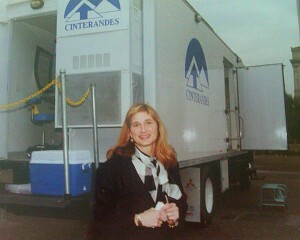 Dr. Jones partnered with him, raised additional funds, and built the Mobile Surgical Unit in Santa Rosa, California. She then offered to arrange medical students to go to the unit, and used the money they offered to support his cause. CFHI’s scope and model has evolved over the years, but Evaleen’s vision continues twenty years later, and CFHI is a thriving model of socially responsible global health programming for students of the health sciences. From those early days, CFHI has grown and now offers 20+ programs in partnership with host communities in 6 countries. 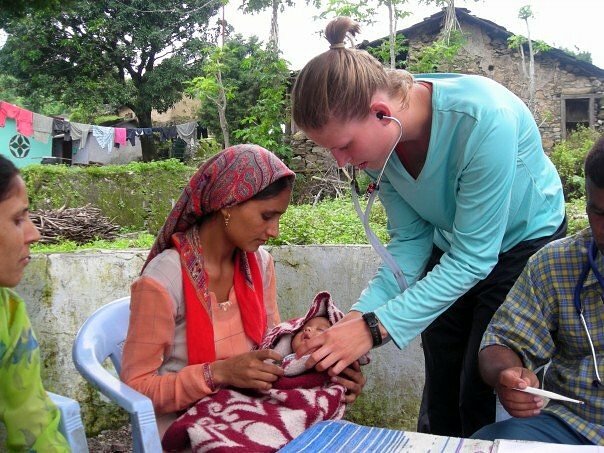 Through CFHI, students are connected with local doctors to participate in internship-style programs and learn about healthcare in underserved communities. What have we accomplished in 20 years? Below are some very brief highlights. To learn more read our highlights page and media center of the CFHI website. 1992: Clinical Healthcare in Cuenca, Ecuador Program launches as part of ‘Cinterandes,’ the first incarnation of what is now CFHI. 1995: CFHI establishes the ‘Recover’ program to reuse and recycle medical equipment and supplies in the U.S. for distribution to underserved communities. To date, over $10 million worth of supplies and equipment have been donated. 2004: CFHI launches its first round of Community Health Initiatives, grassroots projects to improve healthcare funded by CFHI through micro-grants and driven by local experts. 2006: CFHI partners with University of California at Davis to create a Bi-National Health Course –a joint, faculty led CFHI/UC Davis Quarter Abroad Program in Oaxaca, Mexico. 2008: CFHI granted Special Consultative Status with the Economic and Social Council of the United Nations, one of only ~ 3,000 organizations throughout the world that share this post. 2009: CFHI reaches milestone of 5,000 students participating on our Global Health Education Programs. 2010: CFHI Convenes United Nations Forum on Millennium Development Goal 3 — Empowerment of Women. Local women leaders, including CFHI’s India Coordinator, speak on their experiences. 2011: CFHI team co-authors chapter on ethics in global health electives, establishing itself as a thought leader in the field. 2012: CFHI celebrates two decades of asset-based, socially responsible Global Health Education Programs and community empowerment. We thank you, our readers and supporters, for your feedback, time, and contributions that benefit students and host communities in tangible ways. We look forward to the next 20 years! Learn more about our 20th Anniversary Celebration, September 30, 2012 in San Francisco. Do you have any experiences you have shared with CFHI over the years? Share your comments and thoughts below and read more student stories. Its great to learn about CFHI’s progress and its contribution towards child health. Congratulation !! Dr. Evaleen Jones for your efforts and humanitarian work. Wish a very very happy birth day of CFHI. Congratulations CFHI on your 20 year mark! It’s amazing to see the work of two people evolve into a program that allows students from all over to experience once in a lifetime opportunities. I am excited to see how the program will expand in the upcoming years. Congratulations CFHI!!! Proud to be part of CFHI. 20 years, wow! I think that’s more time than the average U.S. initial marriage. At a glance, it’s hard to believe that such commitment can still be devoted; however, after completing the “community based care and tropical medicine” program in Puerto Escondido, Oaxaca, Mexico this December I was able to see and experience first hand all the hard work and passion that goes into the CHFI programs and all the sudden it became very clear to understand. Congratulations to CFHI and all it’s participants on their 20 year anniversary and all the impressive goals they’ve achieved along the way.